Port Phillip Pilot Ship Wyuna. 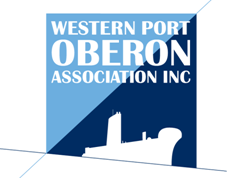 Donated to the Western Port Oberon Association "in 2013". 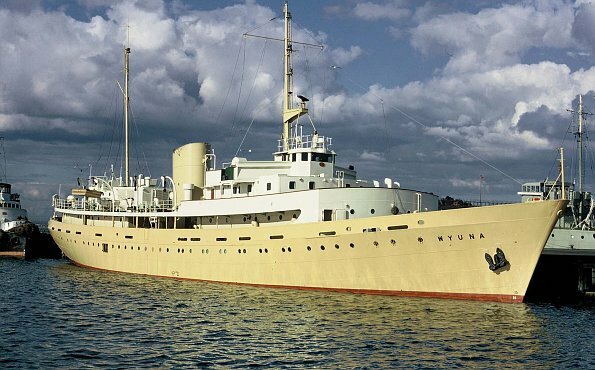 Wyuna is said to be Australia's "Britannia", having been built on the Clyde in 1953 to a classic 20th century design. After 26 years with the Port Phillip Sea Pilots, Wyuna operated as a training ship for the Australian Maritime College in Launceston until 2004. She was then sold for possible use for accommodation in the Pilbara and later sold again for possible conversion to a luxury yacht. After neither venture progressed, Wyuna was generously donated to the Western Port Oberon Association.